This week we are very lucky to have a interview with the very inspirational Brian Freeman. 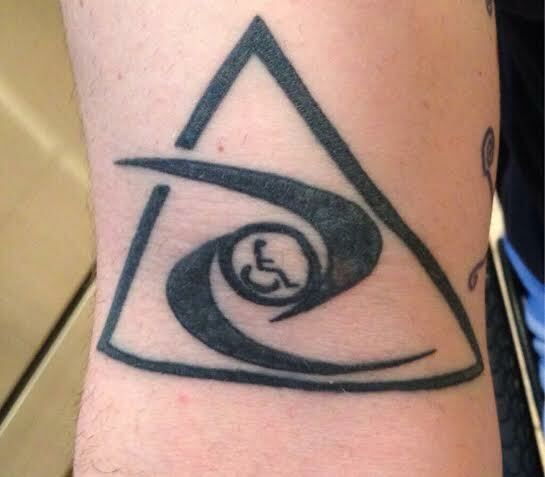 Brian is a disabled vet with a T4 spinal cord injury with Brown-Sequard syndrome. He is from Rockingham, North Carolina. 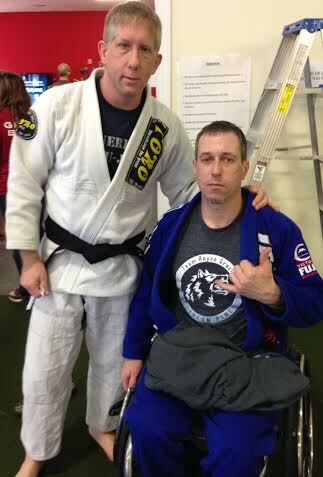 Brian enjoys training Brazilian Jiu-Jitsu, his 8 year old daughter convenced him to get on the mat. He started by taking private lessons first then transitiond into the regular BJJ class. Brian shares with us how BJJ has changed his life. BJJ has caused Brian to be more active then he was and also helped him with his lack of appatite. Jiu-jitsu has also given him more confidence. We thought it would be ineresting to talk to Brian’s coach BJJ Black Belt Roy Marsh (Team R.O.C.). Roy is co-owner of the Martial Arts Academy of Southern pines and he is the head instrctor of the BJJ program. Roy was kind enough to talk to us about training with Brian. Roy is a firm beliver that BJJ is for everyone. When Brian showed interest in learing BJJ Roy was happy to help. Quote of the week “Pratice does not make perfect, prartice makes myelin, and myelin makes perfect” Daniel Coyle. This quote make not make since at first but we break it down. As you pratice it actually makes small changes in your brain that makes things easier for you to perform.